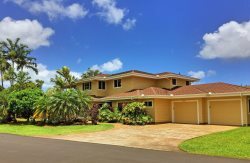 This contract constitutes an agreement between the Guest and the property Owner, represented by Kauai Pacific Real Estate, LLC (KPRE) - Vacation Rental Division in accordance with the laws of the State of Hawai’i. CONDITION OF PREMISES: The unit and contents are privately owned with Kauai Pacific Real Estate acting solely as the Owner's Agent. It is rented with Owner's furnishings and neither Owner nor Agent will be responsible for providing any additional furnishings or equipment. Every effort has been made to assure accurate descriptions and photos of the unit property. Changes in items and/or décor occur from time to time and such changes will not void or alter these Terms and Conditions. No items belonging to Owner shall be removed from the premises. Should any major equipment be out of order, we guarantee to have the deficiency corrected as soon as possible during normal business hours. Guest authorizes Agent to repair damages or losses caused by Guest or Invitees of Guest, at the expense of Guest. Guest accepts responsibility for the acts of their children, visitors, or invitees. Guest will not remove or rearrange inside furniture. BBQs (if available) are allowed only in designated areas, not on lanais or lawn. Condo Association rules must be followed, this includes the use of the pool and other facilities, which are for guests only. We cannot list all rules in this agreement, so if there are any questions, please check with the condo complex office or with KPRE. OCCUPANCY: The number of guests in the unit is restricted to the number you have shown on your reservation. In no case will that number ever exceed the maximum number of guests shown in the listing. Weddings, receptions, parties or function are not permitted on the property. Any use of the unit for other than family vacation purposes or any non-permitted occupants may result in termination of stay and eviction from the property. UNFORESEEN AND UNAVOIDABLE EVENTS; CONSTRUCTION NOISE: Neither the Owner nor Kauai Pacific Real Estate shall be liable to the Guest for events beyond their control which may interfere with Guest’s occupancy or quiet enjoyment, including but not limited to: unforeseen and unavoidable events, loss of view, beach conditions, inaccessibility of various areas of interest, natural disasters, acts of government agencies, fires, strikes, terrorism, war, inclement weather, flooding and construction noise from nearby sites. NO REBATE or REFUND will be offered in these circumstances as they are beyond the control of the owner or Management Company. NON-LIABILITY & INDEMNIFICATION OF OWNER & AGENT: Guests agrees to hold harmless and indemnify the Owner and Agent from any and all costs, expenses, legal proceedings, legal fees, suits, claims, or demands whether from loss of life or injury to Guest and/or invitees of Guest, unless same was due solely to willful act or gross negligence of the Owner or Agent. Guest will not sublet or assign this Agreement without the written consent of the Agent. Guests further agrees that all properties have a mandatory “quiet time” from 9:00 p.m. to 7:00 a.m. Many locations and facilities fine property owners for noise complaints between these hours. Should complaints for noise be received during tenancy, guest agrees to be liable for all such charges. HOUSEKEEPING: The property has been cleaned and prepared prior to arrival. Daily maid service is not provided. Fresh linens and towels are placed in the property along with a “starter” supply of soaps and paper products. All provided linens and towels are intended to be sufficient for the length of each Guests’ stay; clothes washing machines should either be available inside the rental property or at the property complex. A list of starter supplies will be sent to Guest approximately 30 days prior to arrival. The starter supplies are provided as a courtesy and are not replenished. Additional supplies that may be needed are the responsibility of the Guest. For extended stays, additional cleaning may be required at Guests’ cost. Optional housekeeping service is by request only, and at an additional cost. Mid-Stay cleans can be purchased when making the reservation or by contacting our Reservations Department once in your room. The Mid-Stay clean will be scheduled by our Housekeeping Department, and payment will be collected via credit card. If after arrival Guest finds a cleaning or maintenance issue, Guest needs to notify KPRE immediately. Every effort will be made to address the issue by the next business day. If the guest fails to notify KPRE of any cleaning or maintenance issues and does not allow KPRE the opportunity to correct it, then the Guest will not be allowed any fee or rate adjustments. PESTS: Hawaii is a tropical climate where insects (including mosquitos, roaches, lizards, ants, termites, spiders, etc.) unfortunately thrive. All properties are treated quarterly for insects, but Guests may encounter these pests during their stay. Contact with a “pest” inside or outside of the rental unit is not reason for termination of this agreement or a refund of funds paid. If pests are found, please notify KPRE and an additional treatment will be ordered. SUBJECT TO CHANGE: Advertised amenities are subject to change without notice or compensation. Changes can occur after a reservation is made as a result of sale of unit, remodeling, mechanical failure or servicing. Should a property be made unavailable for any reason beyond the control of Agent, Agent may substitute another like or better property. If no other property is available, the limit of liability by property Owner and KPRE is to refund any pre-paid rents that have been paid by the registered Guest. TELEPHONES: Most rental properties no longer have a dedicated telephone line. If the rental does have a phone, local calls are free. Hanalei Bay Resort rooms which are equipped with telephones will have local and long-distance calls included in the resort fee. INTERNET: All KPRE accommodations include complimentary high-speed Wi-Fi. Login information will be provided in future correspondence or will be in the unit near the router. We cannot guarantee that internet or television will not experience service disruption or equipment failure during guest’s stay and therefore, no refunds or adjustment will be made for mechanical failure beyond the control of the owner. SMOKING AND PETS: By Hawaiian law, all properties are smoke free. Pets are not allowed on the properties as well. Guests will be liable for any costs incurred for smoke or pet mitigation costs. ENTRY INSTRUCTIONS: Most of our properties have a lock box near the front door and you will go directly to the rental. There is a single key in the lockbox to use to enter the property. Please return the key to the lock box to insure you do not get locked out. There are additional keys for your use inside the property. Please leave those on the kitchen counter upon checkout. Some units utilize keyless entries, it is the Guests responsibility to ensure that all members of their party have the correct entry code during their stay. HANALEI BAY RESORT: If you are staying at Hanalei Bay Resort, please check in and pick up keys and parking passes at the front desk. Please return keys and passes to front desk upon check out. The resort will be collecting a resort and parking fee totaling $26 per day which includes parking for one vehicle per reservation, wireless internet access, local and domestic long-distance phone calls, use of tennis courts (reservation required) and pools. WAIPOULI BEACH RESORT: If you are staying at Waipouli Beach Resort, you will be emailed your access code approximately 7 days before arrival, provided your Terms and Conditions have been signed and returned. The daily $25 resort fee paid when booking this property covers the use of the pool, BBQ, fitness center, wireless internet access, parking, pool towels and other amenities. PARKING: Most properties offer parking free of charge to registered guests. Please review if you are staying at any of the following properties. Hanalei Bay Resort charges a resort and parking fee of $26 per day which includes parking for one vehicle per reservation. Additional vehicles will need to be registered at the front desk and a $6 per day fee will be paid directly to the resort. Kapa’a Sands, Wailua Bay View and Kuhio Shores requires Guest’s to register their car when checking in. Instructions will be provided with future correspondence. Sandpiper: Guests staying in the “A Side”, a numbered parking space is assigned and will be included in your driving directions. “B Side” parking is only allowed in guest spaces. Kauai Kailani has an assigned parking stall. Information will be provided with future correspondence. Kuhio Shores requires guest to register their vehicle at check in and a parking pass is located in the unit. Display this pass on the vehicles’ dashboard when parking on property. Please return pass to the unit prior to checking out. Puamana and Sandpiper require parking passes which are located in the unit. Please display them on the dashboard or rear-view mirror whenever parking on property. Please return these passes to the unit prior to check out. There is a $50 fee for unreturned parking passes at these properties. Villas of Kamali’i has specific parking instructions for each of the units that we manage. Instructions will be included in future correspondence. Waipouli Beach Resort does require a parking pass which is available in the unit. Please display this permit on the dashboard or hang from the vehicle’s rear-view mirror. Once this permit is displayed, guest will be able to park closer to building H. Vehicles without permits need to be parked in the parking lot fronting the resort, next to the Porte Cochere. DAMAGE PROTECTION WAIVER: As our guest, you are responsible for any damage to the property incurred by you during your stay. Your room is cleaned and inspected for previous damage prior to your arrival. If after your arrival you should find a cleaning or damage issue, please let us know immediately and we will send a company representative out as soon as possible to verify the issue. Failure to notify Kauai Pacific Real Estate (KPRE) of any pre-existing cleaning or damage issues upon arrival will mean that any damages or cleaning issues discovered later will be considered your responsibility. To reduce your exposure from any accidental damage that may happen, we offer a Damage Protection Waiver (DPW), which covers up to $3,000.00 for total damages to the property, furniture, fixtures, linens and dishware. The cost of this waiver is a one-time fee of $49.99, which protects you from check-in to check-out. As an alternative to the Damage Protection Waiver, you can opt to pay a $1,000.00 Security Deposit, which would be refunded to you two weeks after your departure, after verification that no damage was incurred. In either event, by signing the rental agreement you are also agreeing to allow KPRE to charge your credit card on file for any damages in excess of the DPW or the $1,000 Security Deposit. This Damage Protection Waiver is not insurance; by agreeing to utilize the DPW, KPRE is simply waiving our right to charge you for unintended damages up to the $3,000.00 limit. This waiver does not cover a) damages in excess of $3,000.00 in the aggregate, b) any intentional acts of damage or damages resulting from non-compliance with the Terms and Conditions or from illegal activities, c) damage to any property belonging to any guest or visitor and d) the costs of any guest’s or visitor’s medical expenses or personal injuries. The cost of the Damage Protection Waiver will be added to your total charges unless you notify us, in writing, of your preference to pay the $1,000.00 Security Deposit. DOWN PAYMENT: A down payment of 20% or $200 (whichever is greater) is required to confirm your reservation. We accept VISA, Master Card, AMEX and Discover. FINAL PAYMENT: Full payment is due no later than 60 (sixty) days prior to arrival. The reservation is then non-refundable. The balance due will be charged to the credit card on file automatically unless advised otherwise. If your payment is not received by the due date, your reservation will be subject to cancellation. If a guest arrives later than expected or leaves earlier than planned these nights will not be returned. CHANGE POLICY: Changes made to a reservation 90 or more days prior to arrival which results in a reduction of the number of originally scheduled days, number of units booked, or a change of location will result in a $75 fee. Changing units will not be allowed 90 days or less prior to arrival. CANCELLATION POLICY: Reservation payment is due in full and non-refundable 60 days prior to arrival date. If reservation is canceled between 60 and 90 days prior to arrival, the down payment will be retained. If the reservation is canceled 90 or more days prior to arrival, the down payment will be returned, minus a $75 cancelation fee. OTHER CHARGES: All reservations are subject to Hawaii TAT 10.25% and GET tax of 4.167% of the rental rate. On January 1, 2019, the County of Kauai added a surcharge to the GET, raising the GET tax to 4.712%. All reservations for occupancy in 2019 and beyond, will be subject to this tax regardless of the date the reservation was made or paid for. A cleaning fee that varies by unit and a $50 reservation fee are also charged, unless other arrangements are made by the property owner. These fees are subject to change by outside agencies, including the State of Hawaii. These fees are also subject to GET charges. Such charges shall be the responsibility of the guest. LOCK-OUT / LOST KEYS: When the guest is checking in, the key retrieved from the lock box is to be returned to the lock box. In the event the guest is locked out of the property and did not return the key to the lock box, locked the key in the unit, or lost the key, and a replacement key needs to be taken to the property, or a locksmith is needed, there is a $50-$150 service charge, depending on location. There is also a $50-$100 fee for lost property key or pool key. LOST ITEMS: We are not responsible for any items left behind. If items are retrieved and guest wants them returned, there is a handling fee of $35 plus shipping to have items returned to you. THEFT / BURGLARY / BREAK IN: The island of Kauai is considered very safe, but no location anywhere is completely immune to theft or other possible illegal activities. Guest acknowledges that guest shall take precautions when leaving the property (lock all windows, doors and vehicles). Should theft occur from either interior or exterior of the premises, the Police should be called immediately to report the incident. Neither the Owner or KPRE is responsible to relocate the guest to another property due to these circumstances or for any loss, damage or additional expense incurred, including reimbursement of rental fees or loss of personal items. Safes are not available in most properties and are not available for rent. Again, these actions are very rare, but precaution should be always taken. TRAVEL INSURANCE: Travel Insurance is available for an additional charge. Purchase of this insurance will protect you if you need to cancel your trip due to a covered event (including but not limited mandatory evacuation, illness, injury or death). This plan is administered through CSA Travel and is not available for residents of Pennsylvania and New York or non-USA residents. CHECK IN TIME: 3 P.M. - CHECK OUT TIME: 10 A.M.
LATE CHECKOUT REQUESTS: A late check out or an early check in cannot be guaranteed. Requests for a late check our or an early check in must be made prior to guest’s arrival and paid for in advance.